This year marks the 75th anniversary met since discontinued in 1942, the Peugeot 402, a mythical model which meant and his inheritance. The end of their production did not come by declining sales or because they did not like aesthetically, but because military spending World War II ended the civil version of this unique model. He ran the early 30s golden age of everything that came from the United States. The Streamline Moderne (or aerodynamic styling) triumphed around the world; the Art Deco horizontal long, curves, lines nautical elements were fashionable ... and all automakers wanted to implement it in Europe. But according to experts, the Peugeot 402 was the only model that really managed to follow in the footsteps of American artistic movement Streamline Moderne in Europe. The Peugeot 402 was launched in 1935. Was quite similar to the models of American brands that triumphed at the time, -Profile rounded, curved fins, long body with six windows and a windshield into two parts-. But the Peugeot 402 came forward to the future design of vehicles produced from that time with introduction of integrated headlights on the radiator grille, front and rear. If anything this emblematic model Peugeot is remembered is by its convertible version, the 402 Eclipse. Peugeot was the first manufacturer to produce a sheet steel roof and retractable convertible in the trunk back of a car. An electrical system used for the abatement. At first he did not have much success because experts were still accustomed to manual system they considered "more reliable and energy-saving". But in the following years, coupé cabriolets began to be object of desire until today. 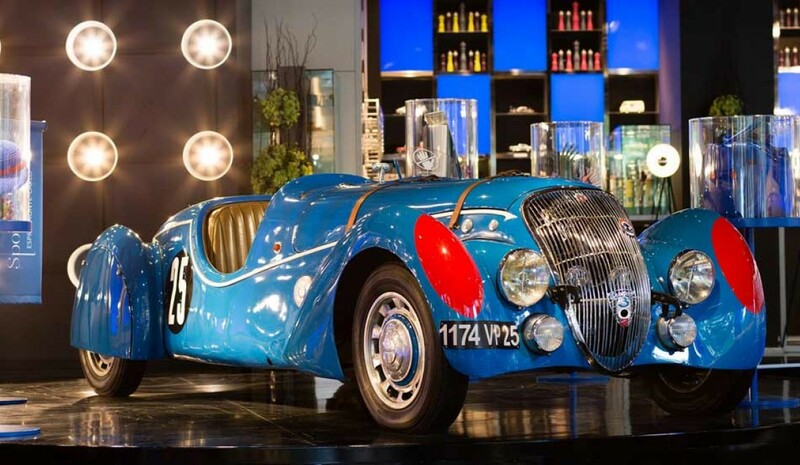 Meanwhile, The Peugeot 402 was also very famous for its racing version, the 402 Darl'mat. The name inherited from Émile Darl'mat, a lover entrepreneur Mark's lion had one of the most important collections in Paris and that was a precursor not only of this racing version but also the convertible. The racing version was a mythical model for motorsports fans, as He participated in the latest edition of the 24 Hours of Le Mans before World War II, although their participation was not very prominent.